I just had to share this! It's too awesome. 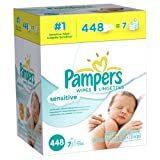 I found this super sweet deal on diapers at Amazon. A huge, $50 box of Huggies (222 count) for $10. Yes, you heard right. I sort of cheated the system and subscribed both my husband and myself to Amazon Moms. For $40 a year, you get 20% off all kinds of baby gear, shipped right to your door. You get $25 off your first purchase, which combined with the 20% off and another $2 coupon which I clipped from the site (you can find it if you go to the "deals and specials" page. So I got 2 ginormous boxes of diapers for $20...which should last us for a while. Oh, yes. So we finally have ourselves moved in...and now that the unpacking is done...I'm on the hunt for a cute fall dress. A comfy dress that I can wear around the house or bop around town with baby. It seems with the exception of a few maternity/nursing combos, there aren't a ton of options. And I'm not a huge fan of wrap dresses either--they seem too work-ish and complicated. I'm imagining traumatic wardrobe malfunctions out in public with baby tugging on the ties...yikes. Plus they can't be belted. I love wearing dresses, but it's hard to find something practical for my current breastfeeding/mommy life. This dress has to be hard-working--I need to be able to not flip out if poop or drool or spitup happens (it does!). Here are a few options I've found, but I'm still on the hunt. The above black dress would be flattering--especially to larger chests. And I like the fact that it is seasonless with a jacket or cardigan and tights for fall. It has an elastic waistband, so it pulls on over the head. I just can't tell if the neckline would pull down for nursing. The denim shirtdress on the left is almost everything I'm looking for, plus it would work as a transitional piece for the warmer Virginia weather. The circle skirt would hide potential pooch issues...and I'm loving the lapel details. This adorable rust dress from Anthropologie is on my love list. There was also a gorgeous grayish blue color, but the red is so fun. It looks comfy and low-maintenance, and everywhere-able. All 3 of these dresses are fairly reasonably priced, so the cost-per-wear would be fairly low.